How to watch Pan's Labyrinth (2006) on Netflix Australia! Sorry, Pan's Labyrinth is not available on Australian Netflix, but you can unlock it right now in Australia and start watching! With a few simple steps you can change your Netflix region to a country like Pakistan and start watching Pakistani Netflix, which includes Pan's Labyrinth. We'll keep checking Netflix Australia for Pan's Labyrinth, and this page will be updated with any changes. Pan's Labyrinth is not available in Australia BUT it can be unlocked and viewed! Young Ofelia meets a mythical faun who claims she is destined to become princess of the Underworld. But first she must carry out three perilous tasks. A young girl in war-torn Spain finds a secret maze. She's either a lost princess or she's lost her mind. There is a way to watch Pan's Labyrinth in Australia, even though it isn't currently available on Netflix locally. What you need is a system that lets you change your Netflix country. 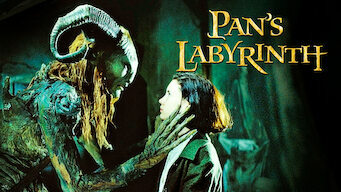 With a few simple steps you can be watching Pan's Labyrinth and thousands of other titles!